Daily Bible Verse 101: The Sign of Jonah. "Just as Jonah became a sign to the Ninevites, so will the Son of Man be to this generation." (Luke 11: 30). Jesus is a Sign to our generation. Today is the Memorial of St Teresa of Avila, Virgin and Doctor of the Church. She was a bright sign to her generation. Of her the Church prays "that we may always be nourished by the food of her heavenly teaching and fired with longing for true holiness." What does it mean that Jonah is a sign to the Ninevites? A sign points to a significant post or event in the horizon. Jonah was three days in the belly of the whale. It points to the 3 days Jesus was to stay in the grave. #1. Sabbath / Sunday (Ezekiel 20: 12, 20: 20). It points to the Resurrection of Jesus and the permanent Day of Rest which is a rehearsal for Eternal life. #2 "Between me and the Israelites it is to be an everlasting sign; for in six days the Lord made the heavens and the earth, but on the seventh day he rested at his ease." (Exodus 31: 17). Scripture urges us not to forget "our ancient landmarks." (Proverbs 22: 28). These are wonderful Signs that God scatters along our Journey of Faith. These landmarks in our Timeline give us great confidence and consolation in a period of desolation and depression. St Teresa of Avila left us one such precious gem from her life. He who possesses God lacks nothing: God alone suffices." 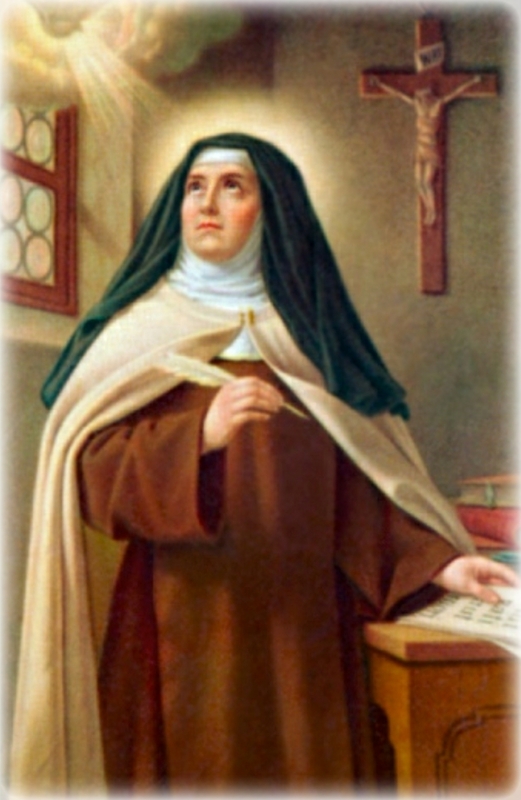 (St Teresa of Avila).